Travelling abroad is vastly different from domestic travel. While in domestic travel one is still within their home country and is familiar with the environment, culture, language, the local traditions and, most importantly the people. International travel, however, is another matter, particularly for first-time travellers. The risks and stakes of travelling internationally are much high. If you unexpectedly get stuck in an odd or dangerous situation, you only have your wits to rely on to get you out of it. Tourists get stuck in a number of different dilemmas when travelling abroad including theft, credit card fraud and something as serious as a medical emergency. It is always wise to be prepared for all sorts of situations when travelling internationally. You must be extra careful in case you are taking your first trip overseas. Getting past immigration and customs is just the tip of the iceberg, you may end up facing lots of difficult situations you weren’t prepared for. However, with a little precaution and forethought, you can make the best of your international trip and enjoy your time there. Your passport and visa are your lifelines when you are abroad, keeping them updated matters more than you may realise. Most countries require foreign travellers to have passports that are valid at least six months after their return date. The US State Department suggests US citizens update their passports nine months ahead of its expiry date. International travel plans are usually made months in advance. Therefore, the first thing for any traveller to do is to get their travel documents in order and apply for a visa. If your passport needs to be renewed make sure you apply for it at least six months ahead as it takes time to be processed. In case you do not have that kind of time, the process can be expedited as well after paying a fee for rushed delivery. Also Read: Protect Yourself! Why You Need Travel Medical Insurance. If you are planning to drive while you are abroad, make sure you find out if you require an international driving licence or whether your local licence would be applicable. If you do need an international licence, apply for one as soon as possible. Last but not least, make photocopies of all your travel documents including passport, driving licence as well as your ID card and keep them in a sperate place than your actual documents. In the age of digitisation, it is extremely easy for anyone with a smartphone to get a hold of useful information online. With numerous resources available online, people can access practically anything from the internet. It is therefore useful for travellers to make the best of it and learn about the basics of the place they are travelling to. Firstly make sure you are aware of the exchange rate currently applicable. It is always easier for fraudsters to fool travellers, and that too first-time travellers. Keep updated on the exchange rate as well to be aware of any abrupt changes. 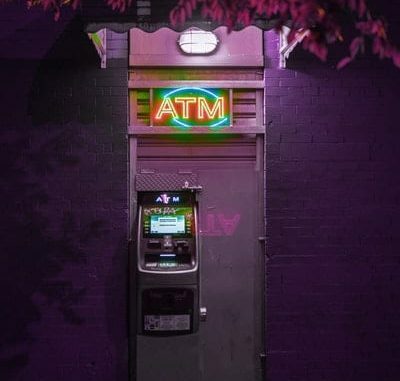 Since a lot of countries do not use fixed rates for goods in certain stores, it is easier for merchants to make extra cash off of you if they see you are a foreigner. Make sure you know the price of the product in your local currency and convert it off the top of your head. Also, try and learn a few basic words in the language of the place you are travelling to. Numbers are of foremost use; try and learn to count to ten in the local language. This makes negotiating prices easier and prevents you from falling victim to scams. ‘Yes’ and ‘No’ are also two useful words that you should learn before travelling abroad. Hand and head gestures may be useful, but nonverbal language varies in different countries and can be a risk to use unless you are aware of the local culture completely. Therefore, it is best to learn a few simple words of affirmation or dissent to save yourself from unnecessary trouble. Also Read: How To Figure Out The Travel Around The World Cost? Also, learn how to say thank you as a simple word of gratitude and help you communicate better with the locals. Additionally, it may also help you in developing good international relations with the locals and present you as a friendly and trustworthy tourist. All major international airports are busy with flights coming in from all over the world for layovers. Their complex structure and number of terminals and check-in counters may end up confusing a first-time traveller. Moreover, some of the world’s largest and busiest airports including the Heathrow, JFK, Dubai and Hong Kong International airports are even more intimidating. Getting to know about the airport you will be landing at is also useful. Websites often offer a mine of information and guide you as to the immigration and customs procedures. Airports in Europe are often frequented by long international flights as layover stops. Cities like Amsterdam, London, Barcelona, and Istanbul often serve as connecting stops for such flights. Apart from that, you may also be travelling to a city that does not have an international airport, which then requires you to catch a domestic flight to the city of your travel. All such details can be confusing and one must remain vigilant once they land. After landing, make sure you keep an eye out for your luggage and collect it in time. Often you luggage may come in at a different flight and may reach directly at your final destination. Make sure you are aware of the check-in, boarding, immigration and customs procedures, in theory at least. When travelling abroad, you need foreign currency, but taking too much can expose you to theft and fraud. Only exchange enough money to get you to your hotel, and make sure you have your credit and debit cards with you. Besides, keeping cash along seems a burden for most people as they tend to make use of credit and debit cards. Packing for an international trip is tricky. You have to take into account a number of factors including the local weather conditions, the cultural norms and the risk for theft. Take care to pack as fewer valuables as you can; having expensive devices and jewellery can make you a target for theft. Keep what valuables you have in your hand-carry luggage and lock it in the hotel safe once you reach your destination. Leave any extra credit cards and documents you don’t need at home. Always put name tags on each of your bags as luggage always tends to get lost or mixed up during international travel. Also, lock your bags and suitcases and keep the keys safe in your wallet. Keep some light snacks and a bottle of water with you on your trip, especially if your flight is a long one.